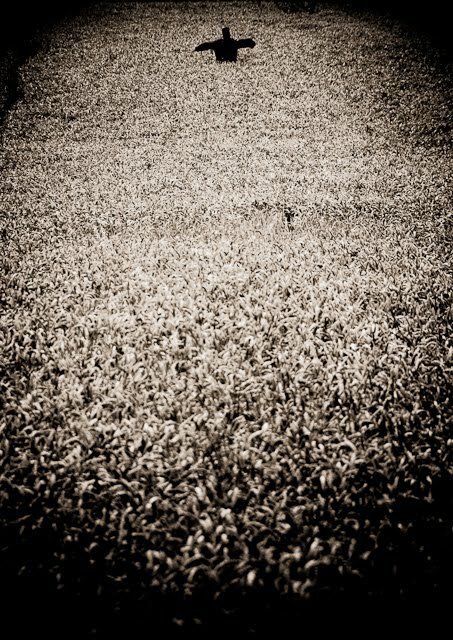 Pretty sweet to be a cat living in some rural place. 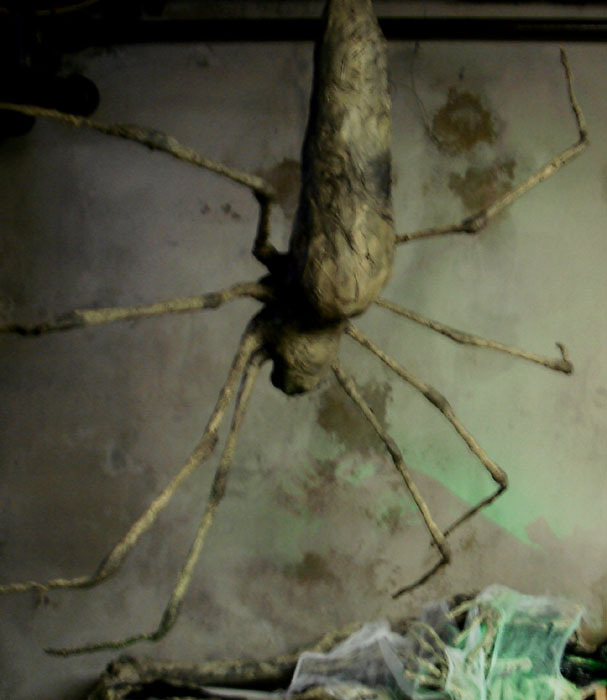 I'd be climbing trees, holding bugs with my mits, and slapping around rodents. Then I'd come home to a nice bowl of food and a big ol' couch. 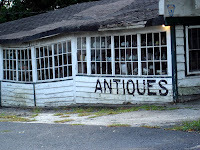 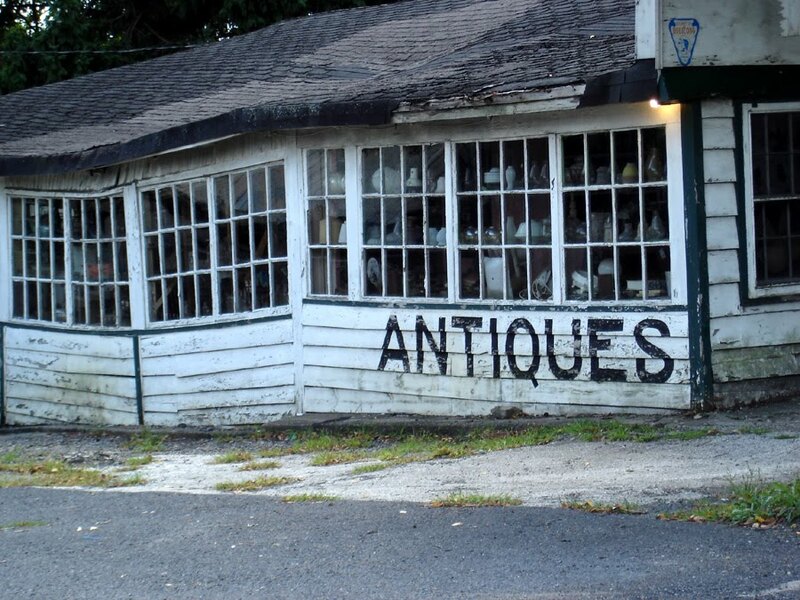 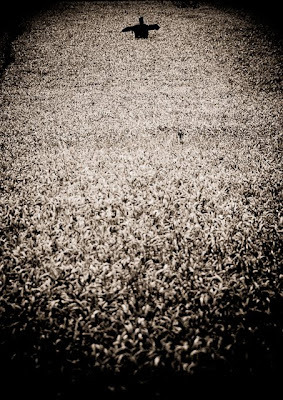 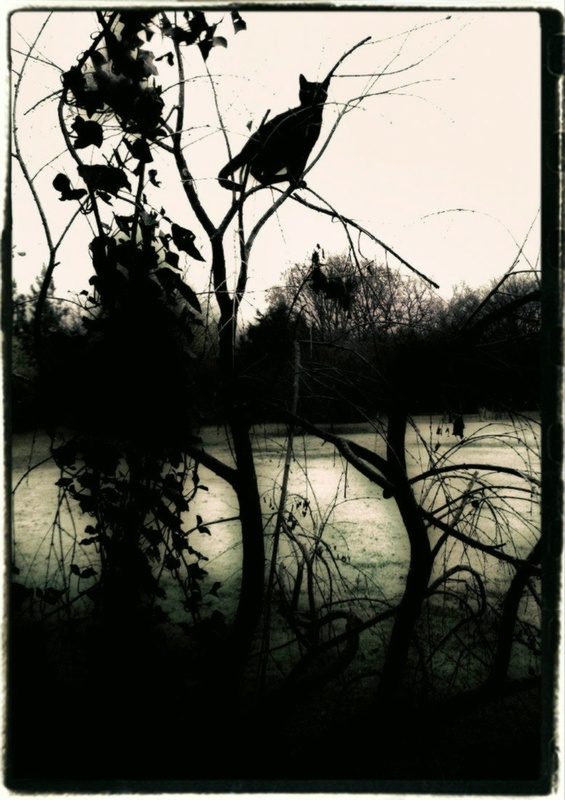 Image by Something To See. 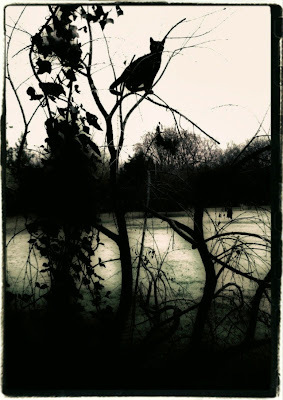 Happy to announce a partnership with artist Ray Chase, whom I've featured a few times on this blog. 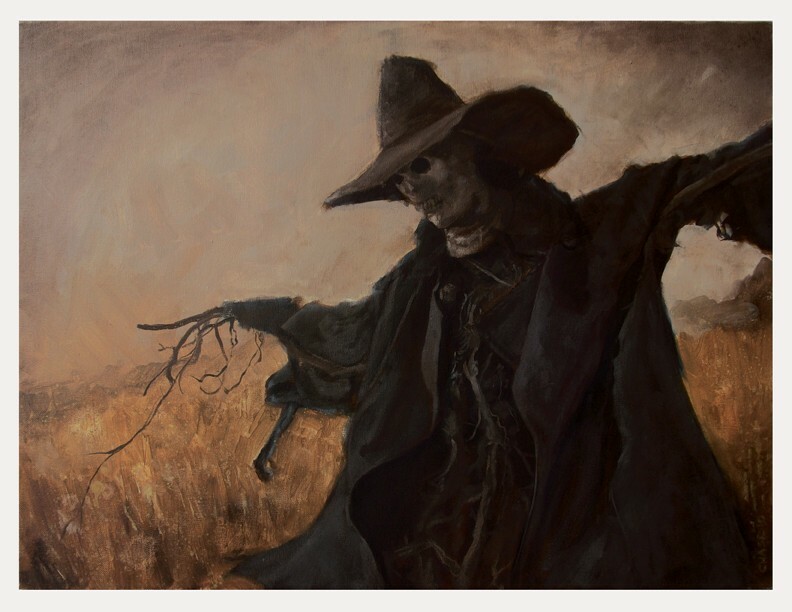 He's currently selling prints of a beautiful painting he completed of my Johnny Appleseed scarecrow. 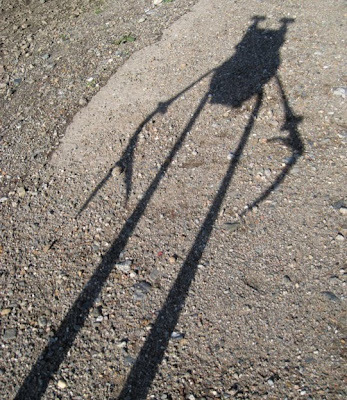 I couldn't be more pleased and excited. This guy does truly amazing work (and he's a super nice dude). 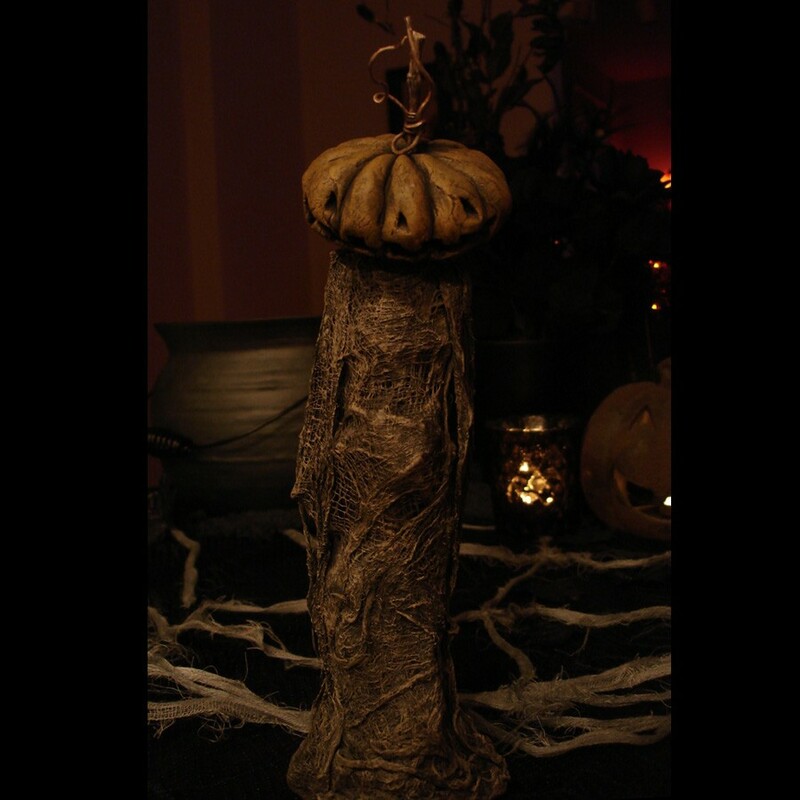 Check it out on his cool etsy shop. We picked up the original painting over the weekend. It's pretty awesome. 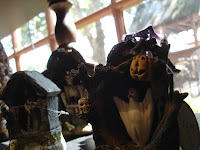 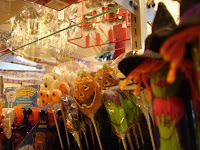 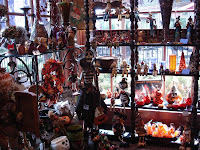 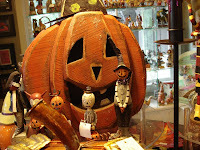 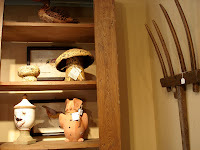 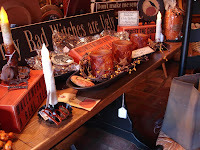 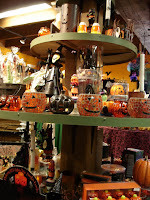 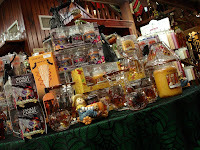 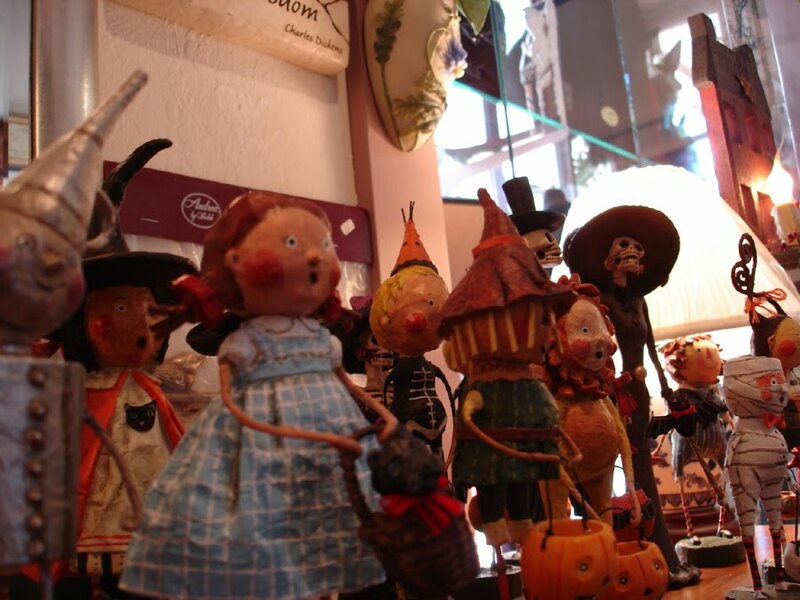 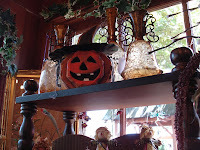 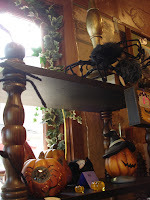 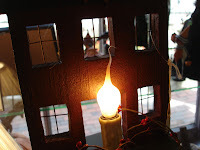 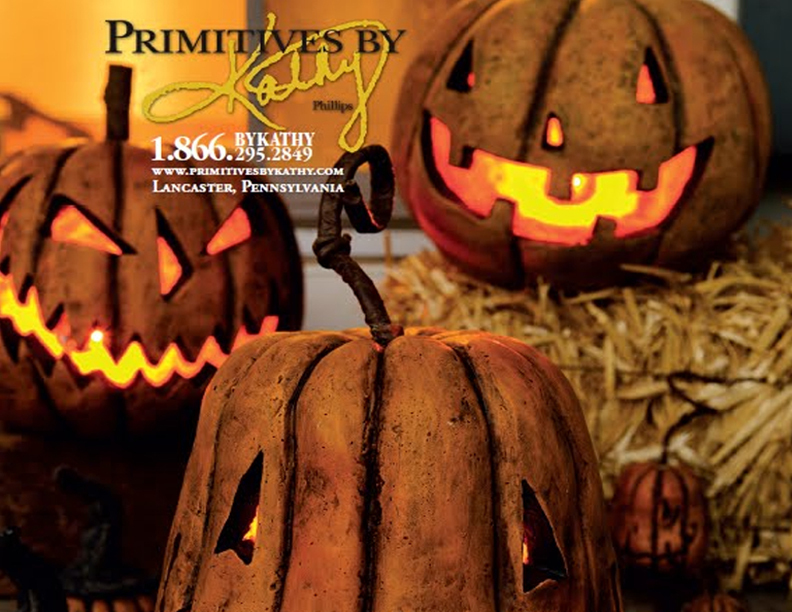 New Halloween store photos from the Curious Sofa blog. 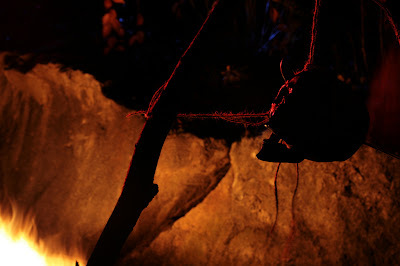 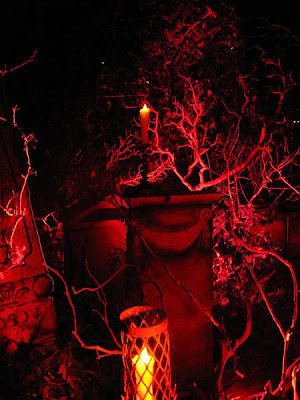 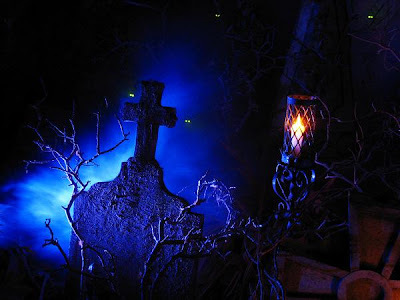 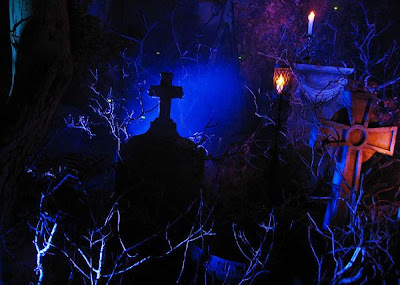 Some more [AMAZING/BEAUTIFUL/STUNNING] images from AuraofForeboding's haunt display. 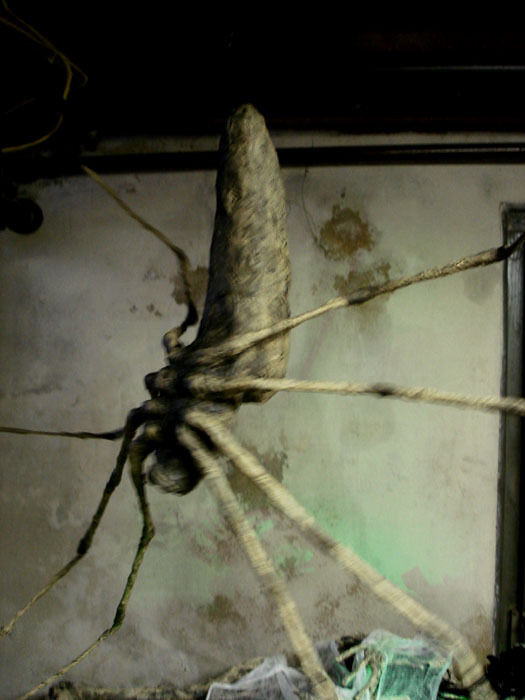 Banana spiders are like the devil to me. This guy's banana abdomen is a little over 12 inches long. I'll be boxing him up and shipping him to the Davis house this week. 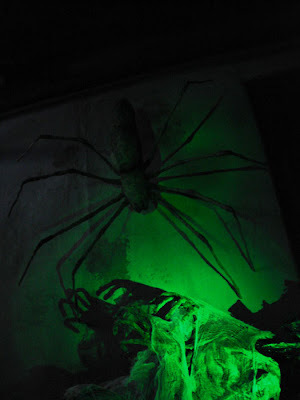 He's going solo - my smaller spider just wasn't doing it for me, so I scooped him up on a napkin and let him out into the yard. 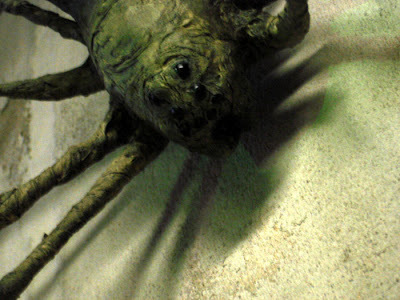 The tips of his legs are made to fold inward (bendable wire). So I can squeeze him into the box. 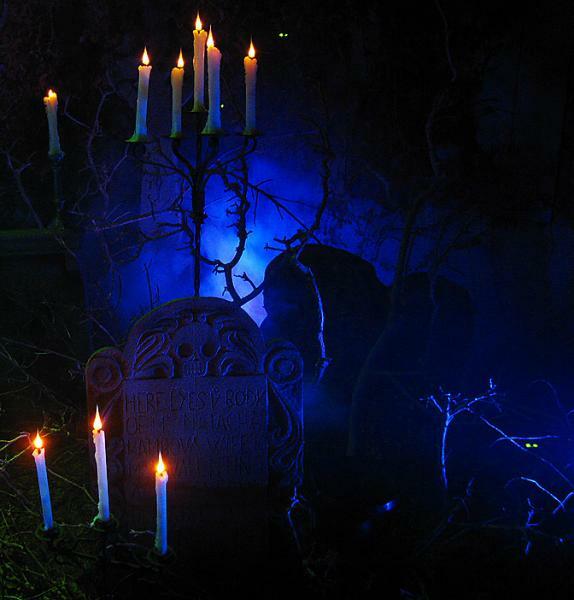 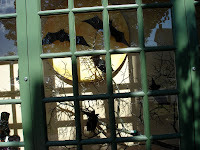 Re-posting some AWESOME photos from my bud Jon's 2009 Halloween display. 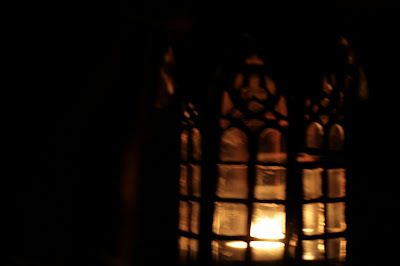 These make you want to sit next to the fire and pray for dawn to come a littler earlier than usual. 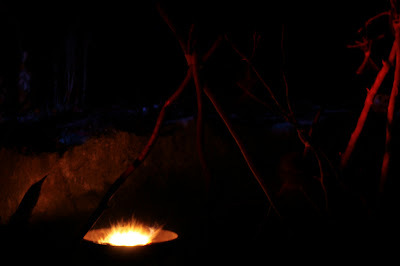 Like the night isn't going to stay away from the flames. 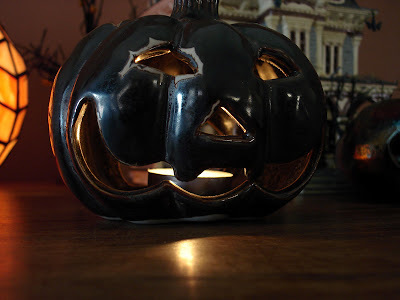 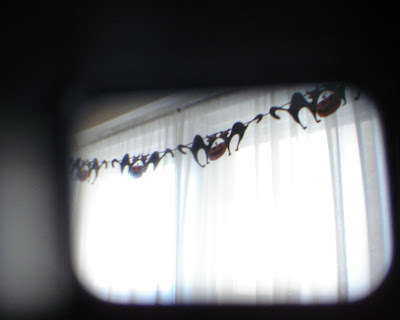 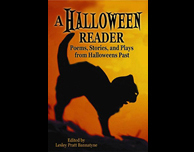 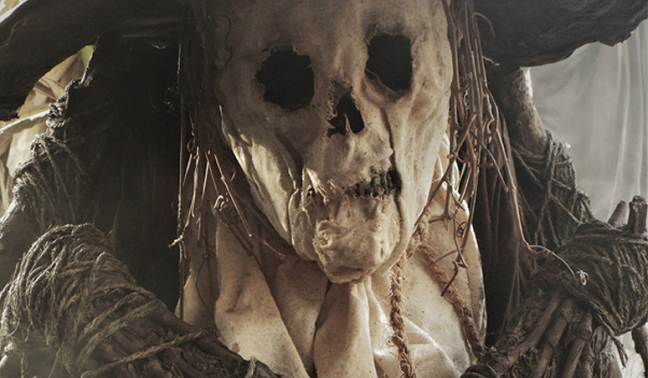 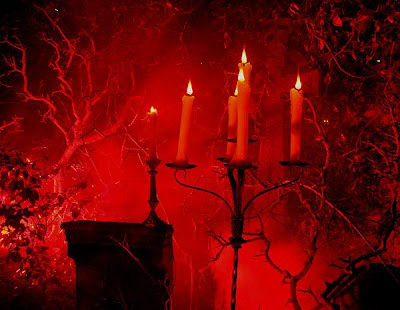 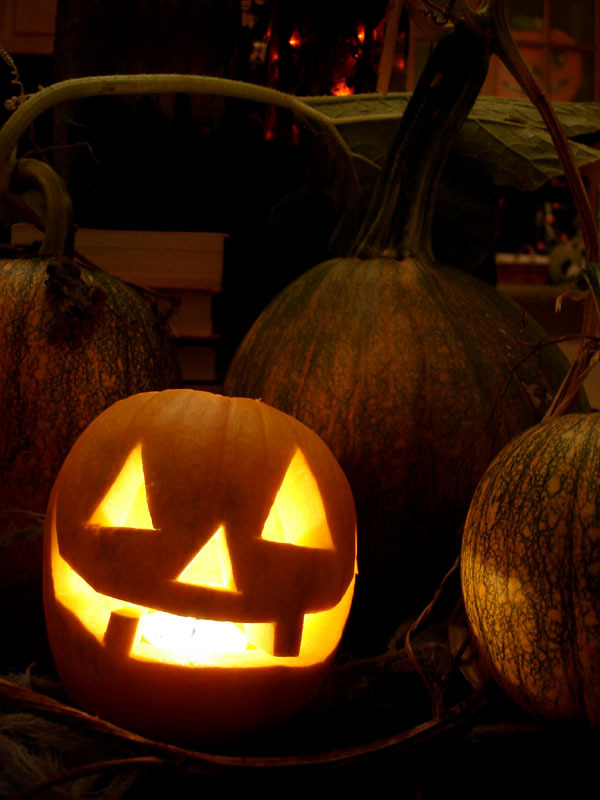 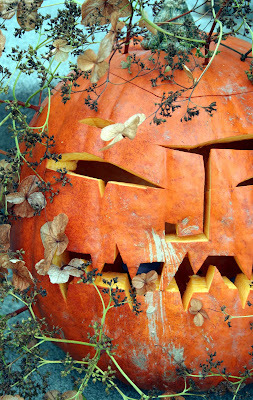 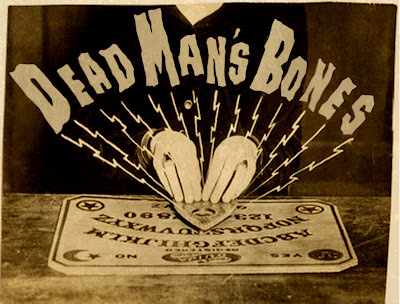 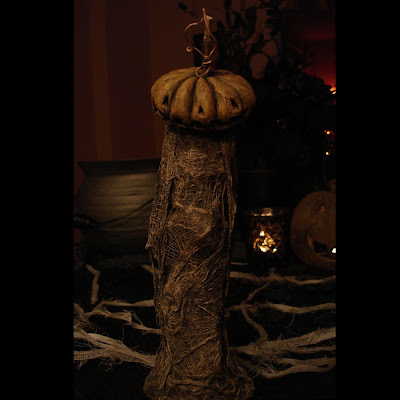 After all, it's Halloween, the festival of Samhain. 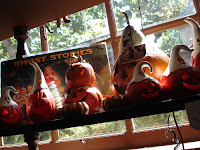 Our garden pumpkin patch is starting to wither in spots, and little critters are taking tiny bites out of our green/orange beauties. 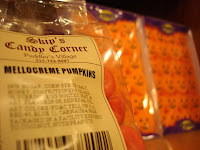 So we harvested four tonight. 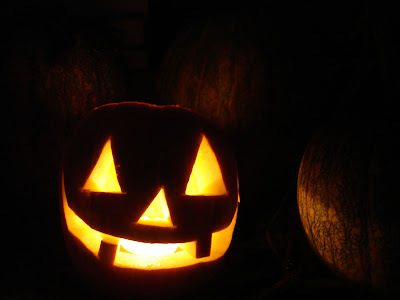 Carved the smallest of them - a five-inch tall pumpkin who literally fell off the vine (stem remaining behind). 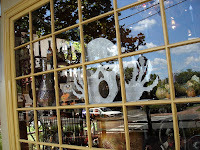 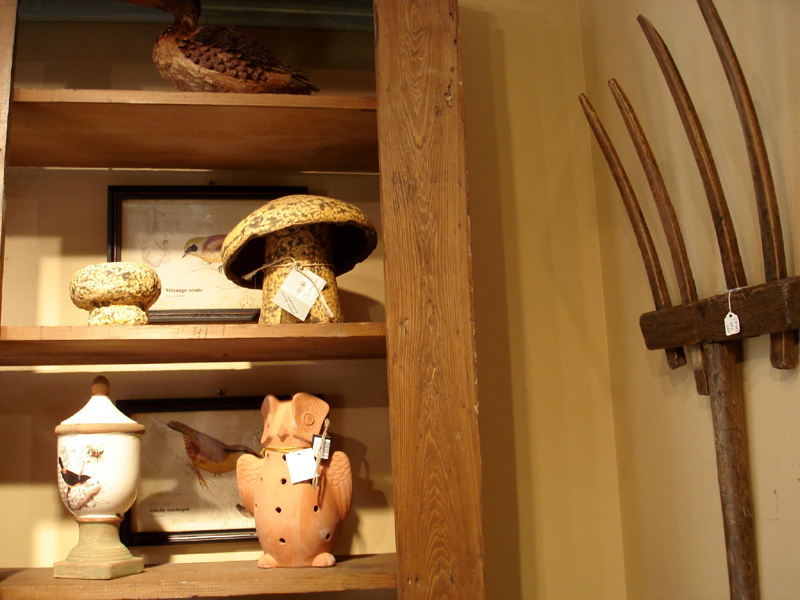 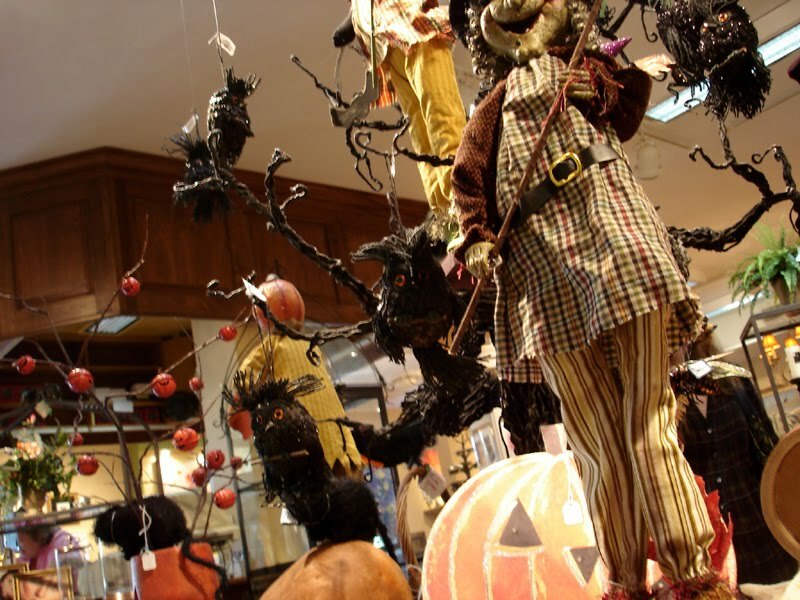 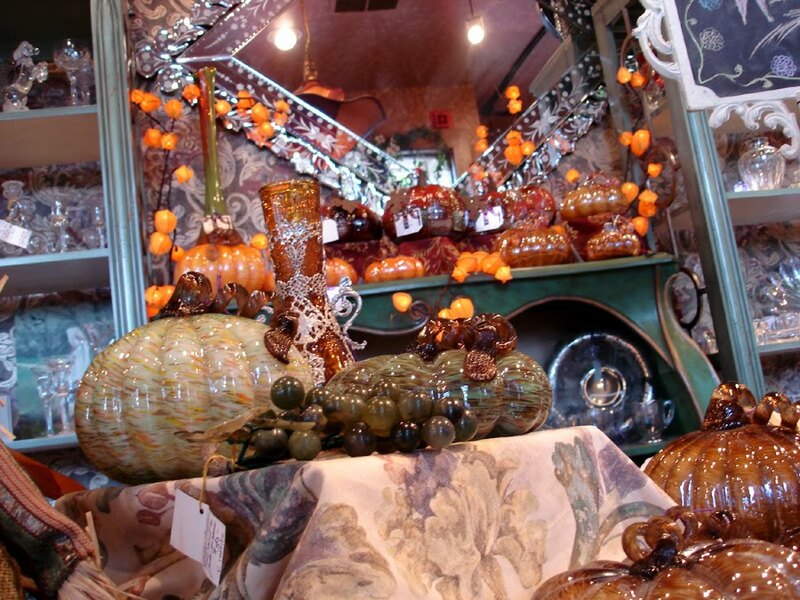 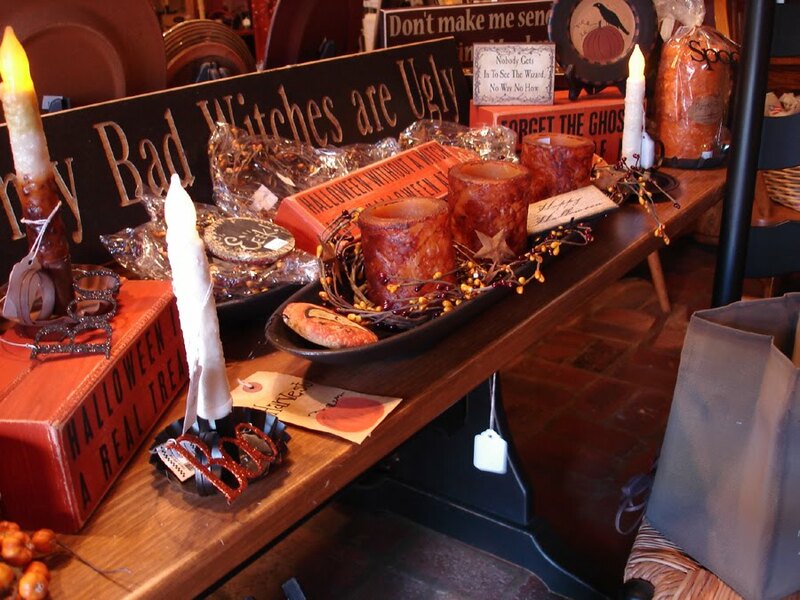 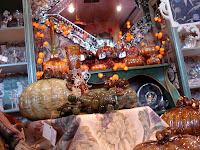 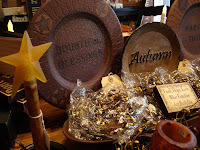 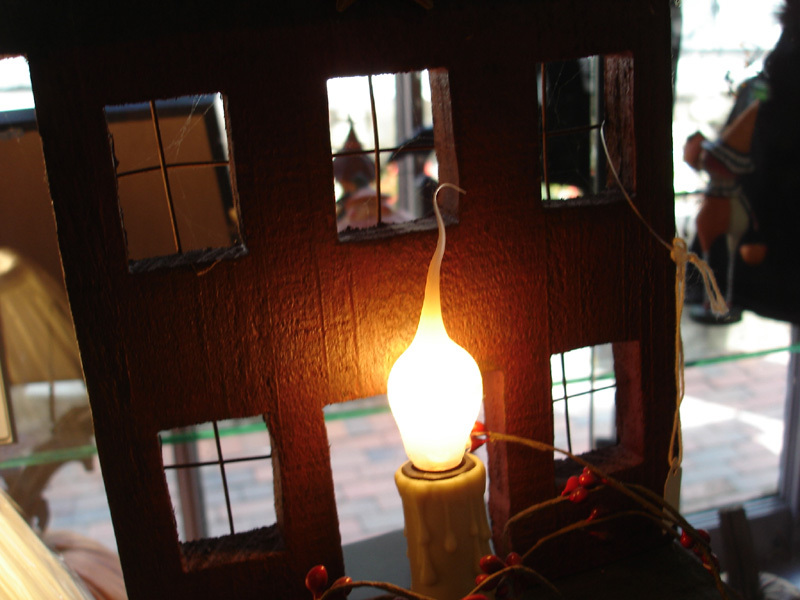 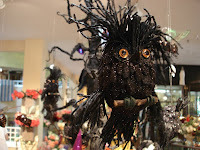 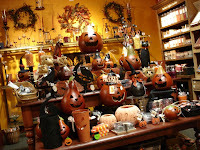 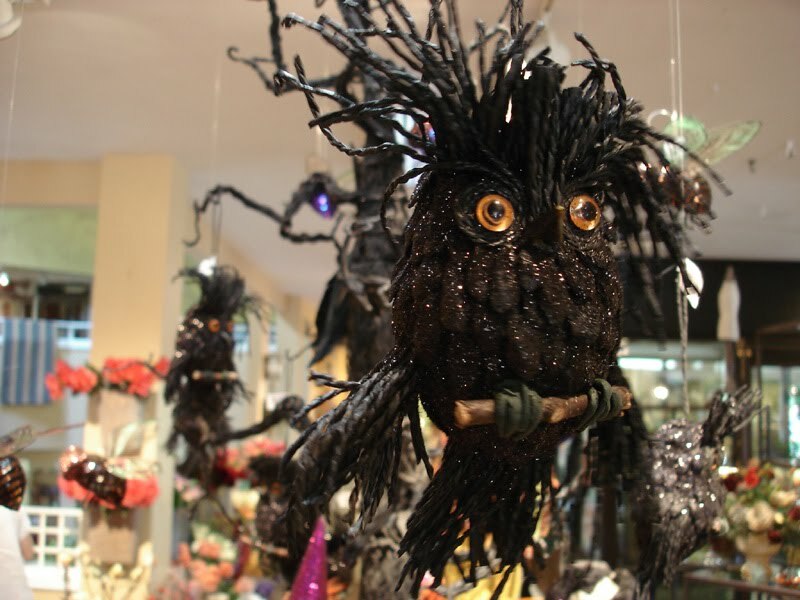 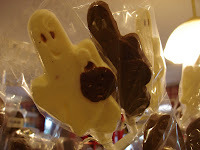 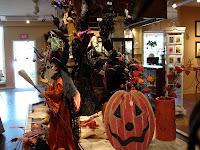 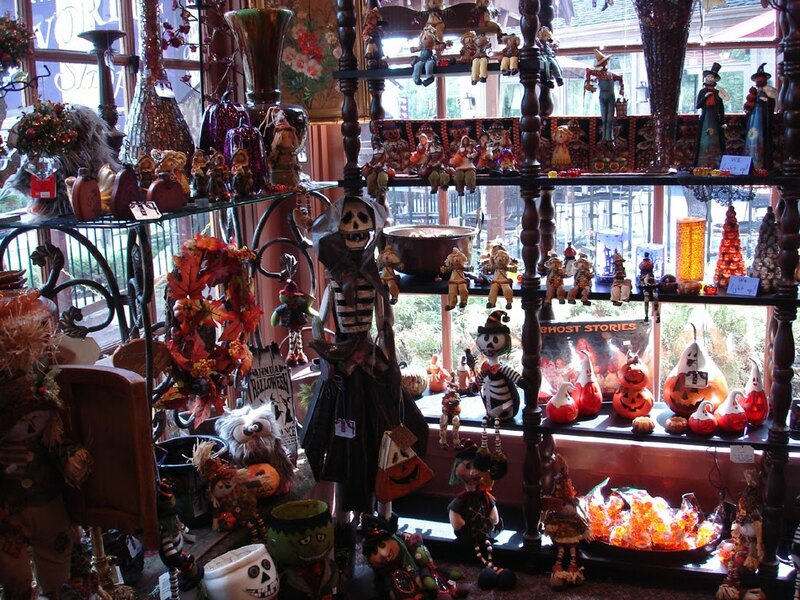 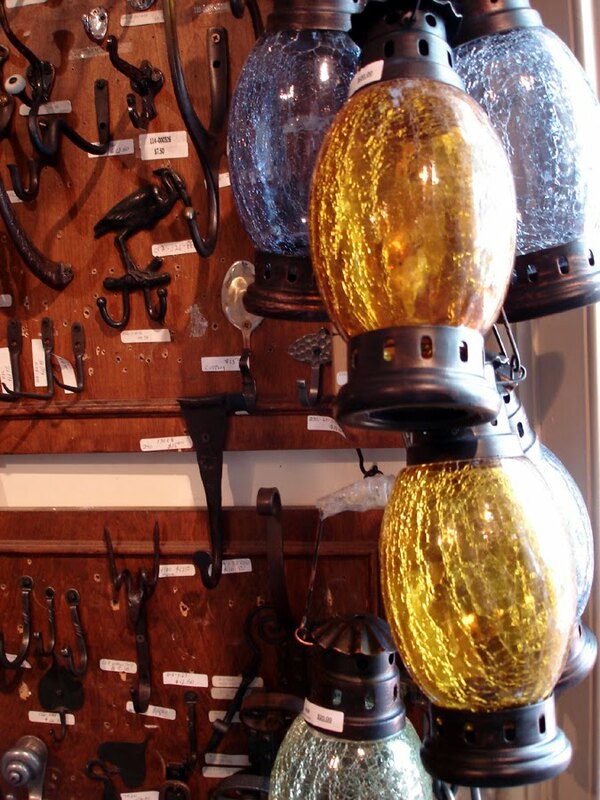 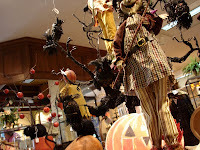 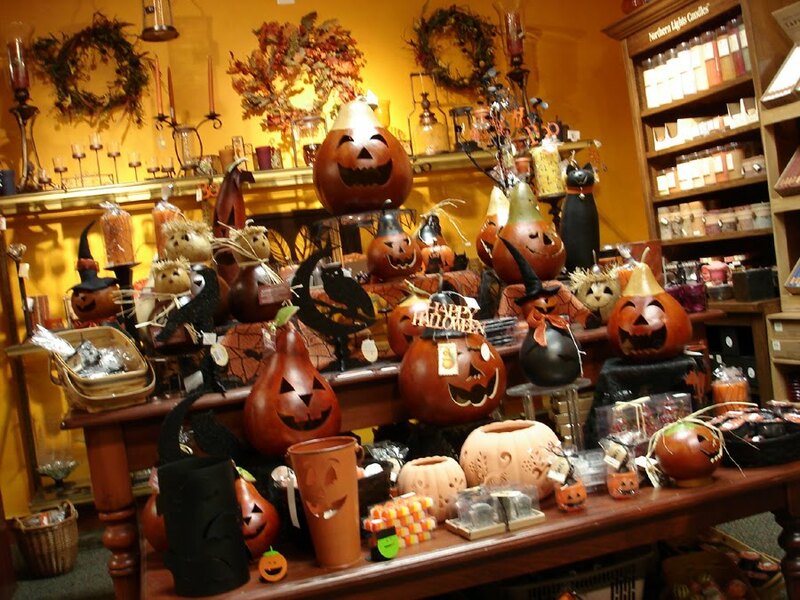 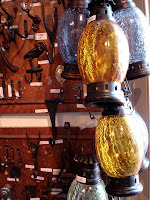 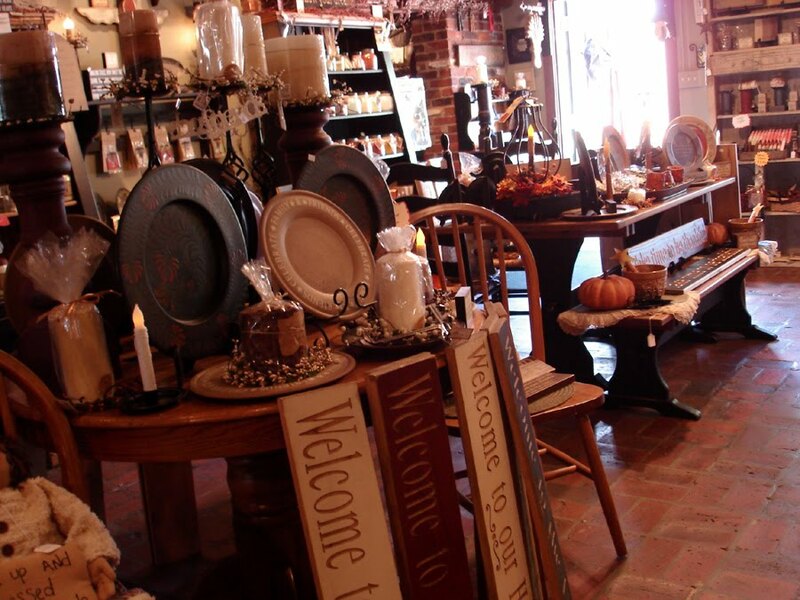 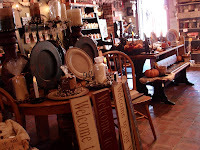 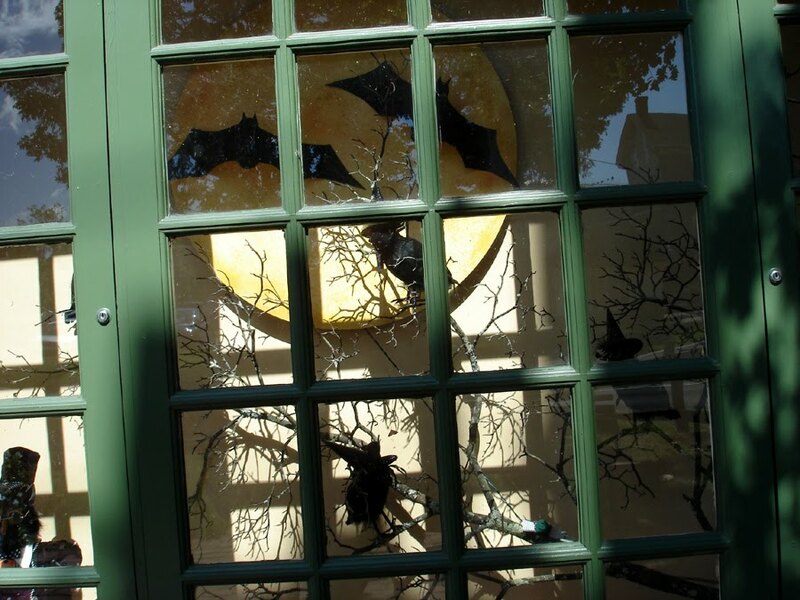 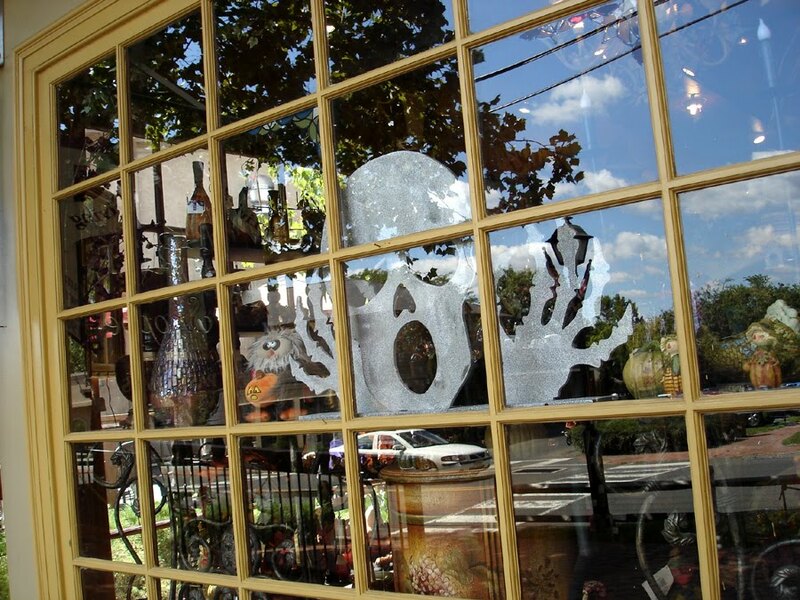 Peddler's Village had their Halloween best in their stores. We came home with just this little guy.